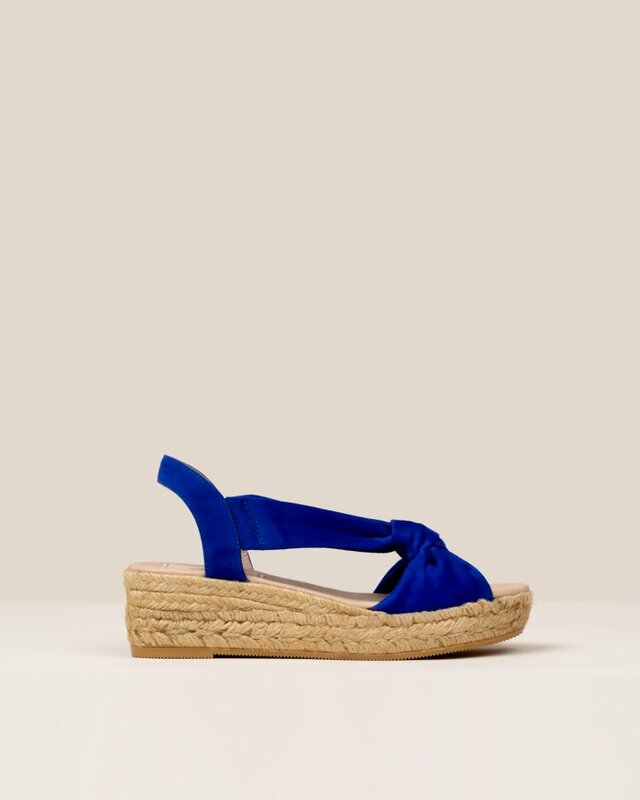 Electric blue suede espadrilles. Detail wide open strip in the instep and closed heel. Closure by means of bracelet with buckle lined to the ankle. Medium jute wedge.